It's 6 o'clock in the morning and you've already been in the river for an hour and a half. You are looking at one of the better days for fishing in a while. 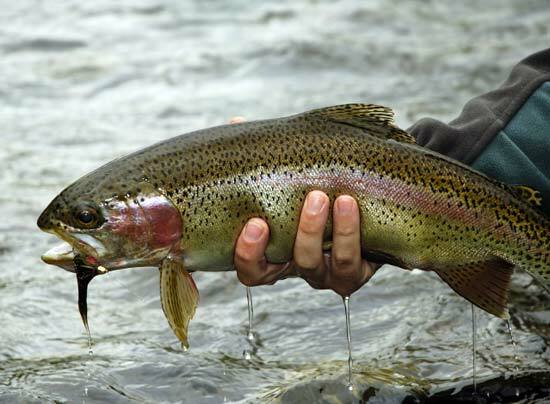 A half-dozen rainbows have been caught and released and your floating dry flies have done their job well on the surface feeding trout. But now the action slows down to a crawl. What should you use now that the surface action is dying down? This is where you can take a lesson in the wet fly. This type of fly has not been as popular as it once was since the floating fly rig came on the fly fishing scene. Fishing a wet fly is a little more difficult, but the results can be absolutely awesome when done right. Just like fishing a floater, a mid depth or bottom dragging fly needs to be learned and mastered. Fish are funny little FINnicky creatures and the smart angler respects this in his quarry. Techniques will vary, but there are things that never change. Whatever type of wet fly you decide to tie on, the most important thing to do is match the hatch. All this means is to match, as closely as possible, what the river is offering naturally. Grab a small net, sweep through the water upstream from where you are and see what you find. Take notice of what Mother Nature is giving her babies to munch on. It could be scuds, snails or other bottom dwelling fare that the trout are favoring. Cast in a fan formation a little upstream from where the fish is waiting. Let the fly drift down naturally and allow the current to bring it right to the fish's strike zone. If he doesn't hit on the first run, cast again a few yards further down stream and do the same thing. 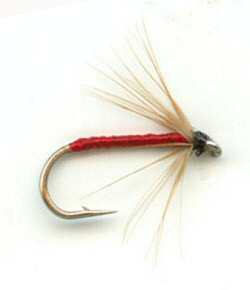 The current will give the fly an action that resembles a life form in trouble. Survival of the fittest kicks in and BAM! you catch a fish and release it! Yes, you release it because you ARE a sportsman. All of this sounds pretty exciting and deceptively easy. There are several techniques in fly fishing that are used at different times. There is dry fly (those that float on top), wet fly (those that stay middle depth to bottom), nymphing (imitates aquatic insects in the development stages prior to adulthood) and the use of terrestrials (insects like ants, grasshoppers and others that live entirely on the land). Which one is to be used is entirely dependent on the conditions present where you are fishing. For the most part, fishing flies that are wet is pretty productive in most cases. Interestingly enough, fishing nymphs or terrestrials CAN be classified as wet fly fishing simply because they are entirely submerged all the time. Again, what the earth is supplying at the moment determines what you should offer up on your line. Let's talk a bit about color and pattern choice. Even if you have perfect casting abilities, the wrong choice of fly can be the end of a beautiful day on the river. This is a massive part of fly fishing as the possibilities are as endless as the angler's imagination. A myriad of different colors are available as are patterns tied to imitate the most popular insects of the day. As a result, the angler can NEVER have too many flies in his arsenal. You never know what the favored one will be on any given day. Remember what I said earlier; "fish are funny little FINnicky creatures". So it is best to have the fish's favorite bug color in your fly box. If you can't scoop the water to see what is being given freely, here's a tip to help you figure it out. Rig your line with a dropper fly. Very simple as you simply tie on the regular fly on the end of your line. Then about 12 or 24 inches above that you attach a leader and tie on a different pattern/color combo. Doing this allows you to see what is being taken by the fish in half the time. When you hit the right combination, go to the one fly rig and settle yourself in for a run at the title! As far as patterns go, there really are too many to list them all here. A few would be the blue wing, black gnat, March brown and the Alexandra. Each has it's own time and place for use and there are many others as well. WAIT! I can't go without telling you about streamers. Although streamers stay wet, they technically are not wet flies. However, streamers do imitate injured baitfish like minnows or menhaden. Usually larger than other types of flies streamers can be very useful and can even be utilized for other species like bass or salmon. 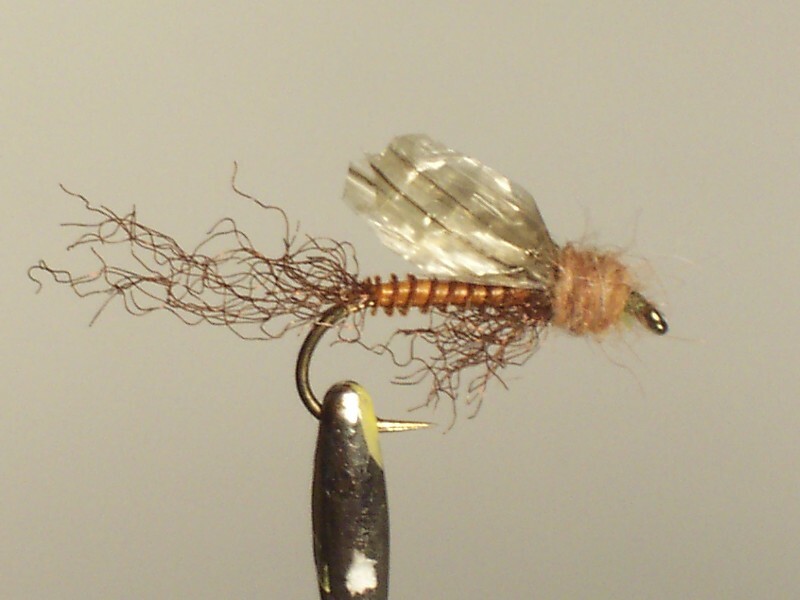 The streamer is cast across and downstream, and then retrieved erratically to get the desired "injured" presentation. Whether out of curiosity or plain hunger, these babies can elicit a strike almost any time! 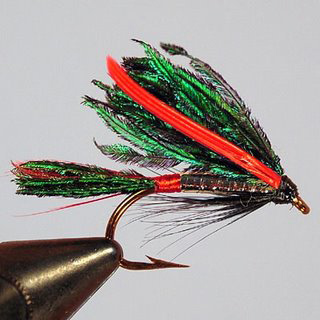 CLICK HERE FOR A LIST OF POPULAR FLY PATTERNS.